Tesseron tasting notes: "The wonderful, heady aromatic tang, borne of long wood ageing is immediately compelling, giving way to hints of wood, dried fruits & tobacco. The palate: An extremely appetising cognac, opulent, rounded, yet vivacious. Pepper & spices emerge initially before revealing dark chocolate and fresh herbs. Complex, it shows supreme finesse, supple opulence and very good length". 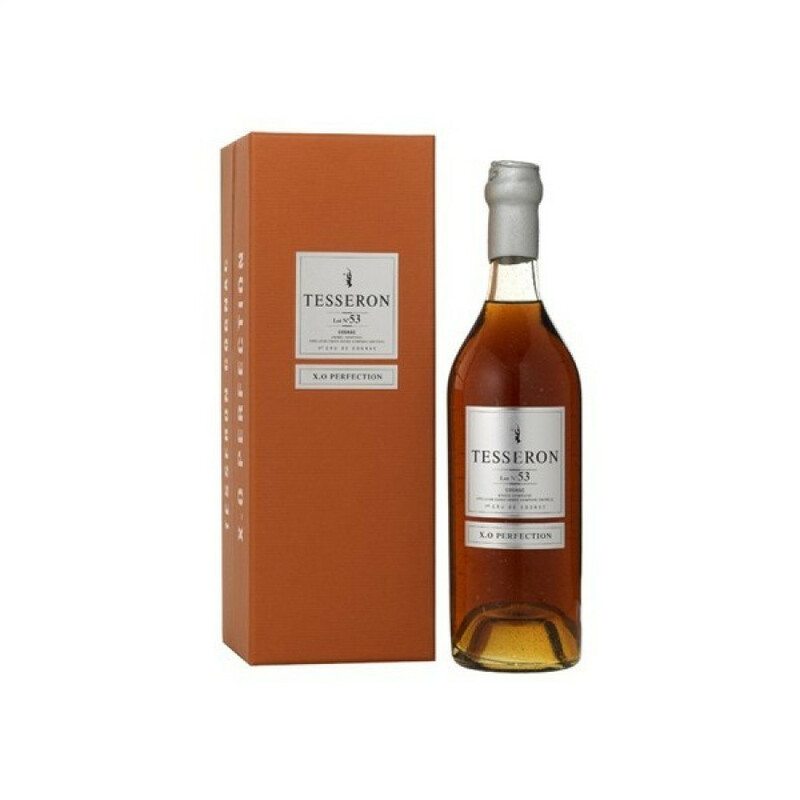 Tesseron Lot N° 53 XO Perfection Cognac is a blend of our most sublime stocks of Grande Champagne Cognac. Made from both Ugni Blanc ande Colombard grapes, it has a sumptuous topaz colour with a bouquet of plums, figs, and chocolate on the palate. This Cognac borders on perfection - finesse and complexity complemented by a refreshing lift on the finish.